Northeast Florida is rich in history. Individuals have come from, and events have occurred in, Greater Jacksonville that are both culturally significant and historically important. Individuals such as Harriet Beecher Stowe, James Weldon and John Rosamond Johnson, Augusta Savage, and Paul Rogers, just to name a few, lived in this region, yet their work was far-reaching. Jacksonville, positioned as The Gateway to the Sunshine State, played a critical role in the advancement of the American film industry. Northeast Florida captured the attention of film makers because of its warm climate, exotic locations, advantageous rail system, and varied architecture. In the early days of the 20th Century, production companies relocated to Jacksonville and the city quickly became The Winter Film Capital of the World. Jacksonville also contributed to the progression of the African American film industry. In 1916, producer Richard Norman relocated to Jacksonville and founded Norman Studios, one of the first production companies to make movies for African American audiences. These films were important because they represented a cultural shift. Norman Studios employed African American casts and crews and the films portrayed African Americans in a manner that was radically different from previous dramatizations and stereotypes. LaVilla, Jacksonville's first suburb, was once considered The Harlem of the South because of its vibrant culture and legendary performance venues. By 1929, Ashley Street was a hotbed for jazz and rhythm & blues music. R.C. Robinson, a blind teenager who attended the Deaf and Blind School in St. Augustine, began his career as a musician at the Ritz, performing as their house pianist. He eventually left Jacksonville and built quite the career for himself, recording and performing under the name Ray Charles. Southern Rock was also born in this region. Bands such as Molly Hatchet, Lynyrd Skynyrd, and The Allman Brothers Band all came from Jacksonville. Decades later, this region was also a major contributor to the birth of nu-metal. Jacksonville bands such as Limp Bizkit, Shinedown, and Cold helped to pioneer and grow the genre. 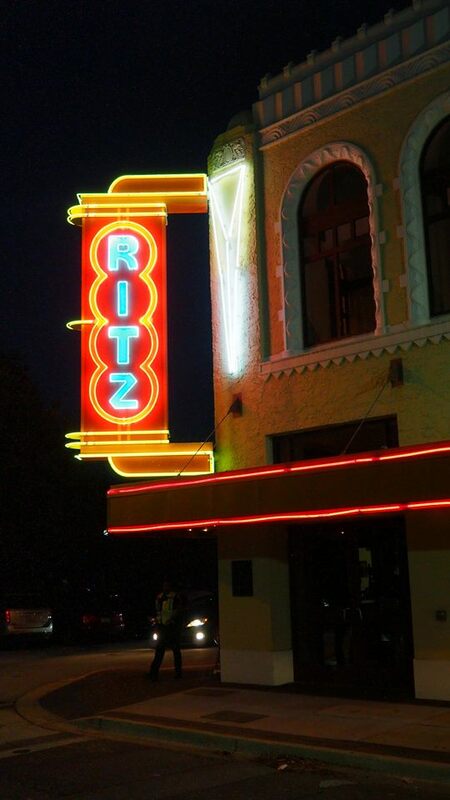 The Ritz Theatre and Museum.